SSEN is well known for its Congress of Education. This year, the 6th Congress of Education will be focused on STEM (Science, Engineering, Technology and Mathematics), with emphasis on the science behind the Pan Am/ Parapan Am Games as well. Speakers will discuss the latest discoveries related to the technology, equipment, training and best practices to everyday life but also to the different sport disciplines that will be challenged during the upcoming 2015 Pan Am/Parapan Am Games. 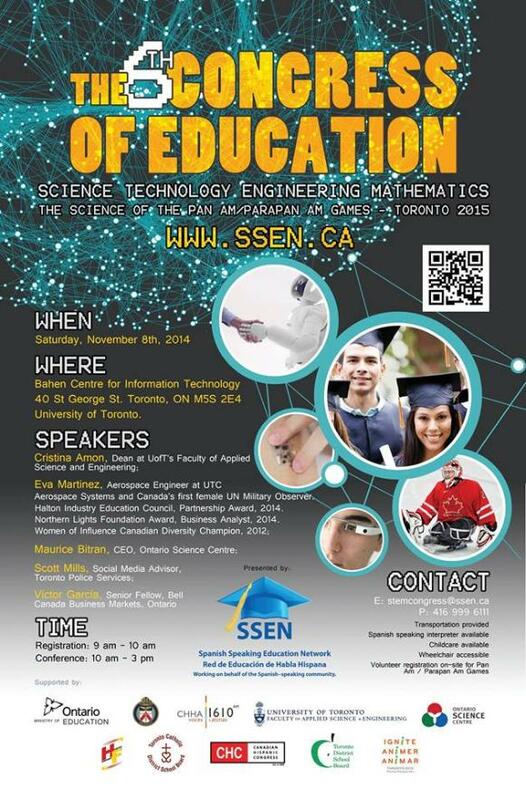 This event will be held at the Faculty of Applied Science and Engineering at the University of Toronto, between 9 a.m. and 5 p.m, on Saturday November 8th 2014. We are aiming to outreach to over 400 participants and their families to participate in several workshops and conferences during the day. 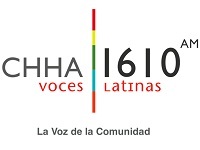 This conference will bring speakers from prestigious institutions and members of the community who will motivate Spanish Speaking students to find their future in Canada, focus on their education, stay in school and aspire to post-secondary education, but it also allows us to multiply our mission to support their success in Canada. Additionally the congress allows speakers and promoters to make highlights on the importance of health and wellness (through sports practice and the discipline behind the training of a Gold Medalist athlete), building resilience and self-esteem, mental health in the community. Workshops for children and youth. All buses will pick up participants for the Congress at 8:15 am and will leave at 8:30 am sharp. Below are the following addresses of the pick up locations. Please contact 416 247 8082 for more information, leave your name and your telephone number and we will call you back.